Not a fan of Fish balls but Fish Boss is exceptional as the fishballs were not only freshly handmade by the owners daily and dishes items come in a variety with Yong Tau Fu soup instead of the usual fish cakes and fish balls. The Stall is relatively new among the other players in the Hawker Centre manned by 2 young chaps. (Yes, we seldom get to see young hawkers who can take up the long hours in Hawker). 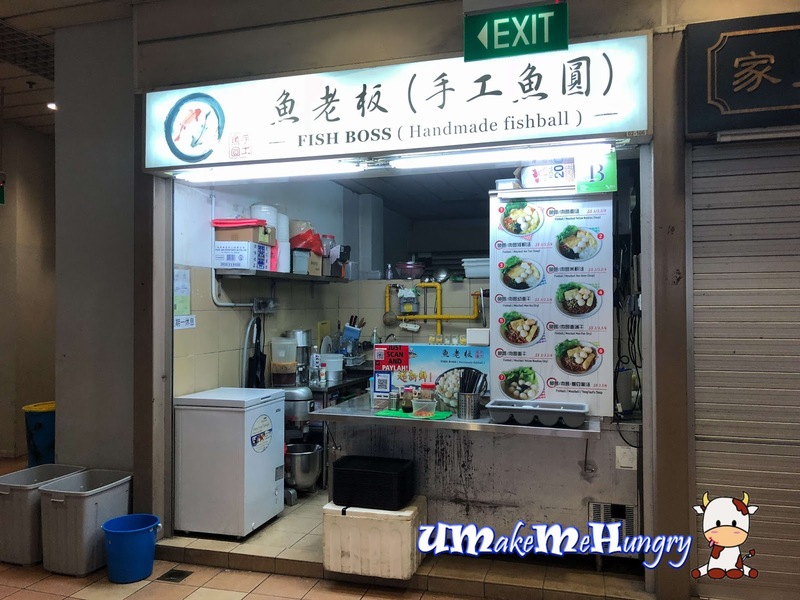 The usual dry version of noodles we got from other fishball noodles are perhaps some spring onions with pork lards as part of the ingredients but from the taste of Fish Boss's noodles, we simply get addicted. Noodles were toss in soy sauce mixed with minced pork in bean paste that gave a very nostalgic taste. 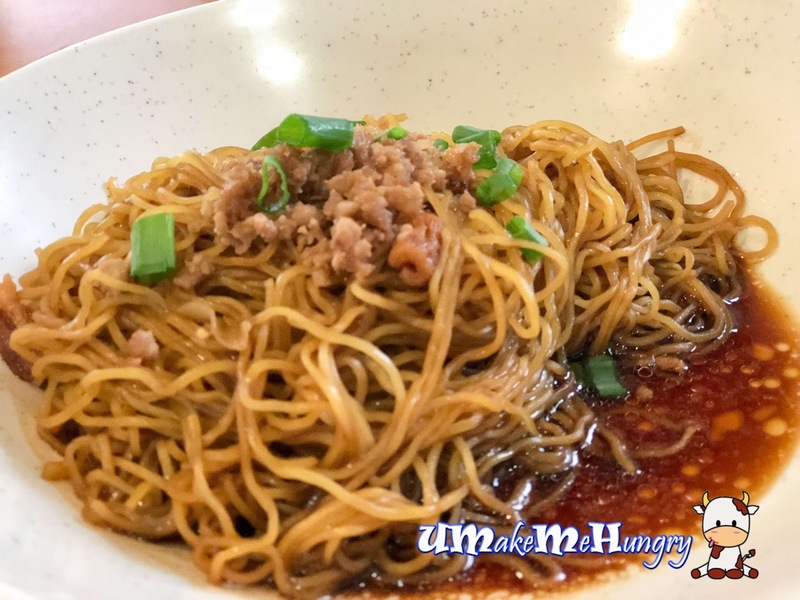 The minced pork in bean paste is probably from the canned food that we always consumed with our porridge during the younger days. 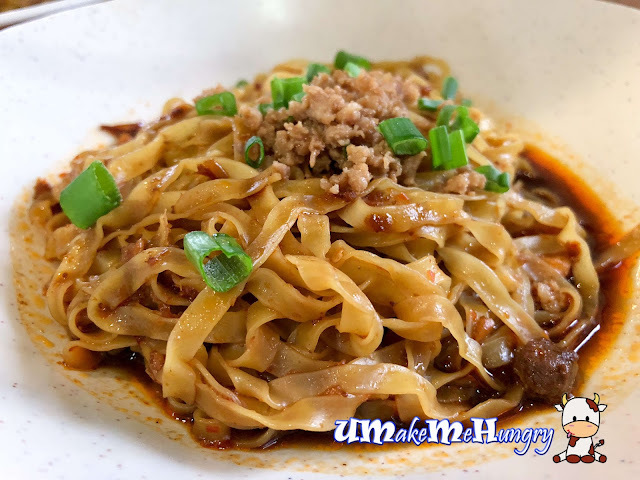 Aside from that, the texture of the noodle was cooked pretty well, topped with additional minced meat and spring onions. Frankly speaking, there is no need for other sides, I can finish the entire bowl of noodles without the fishballs. 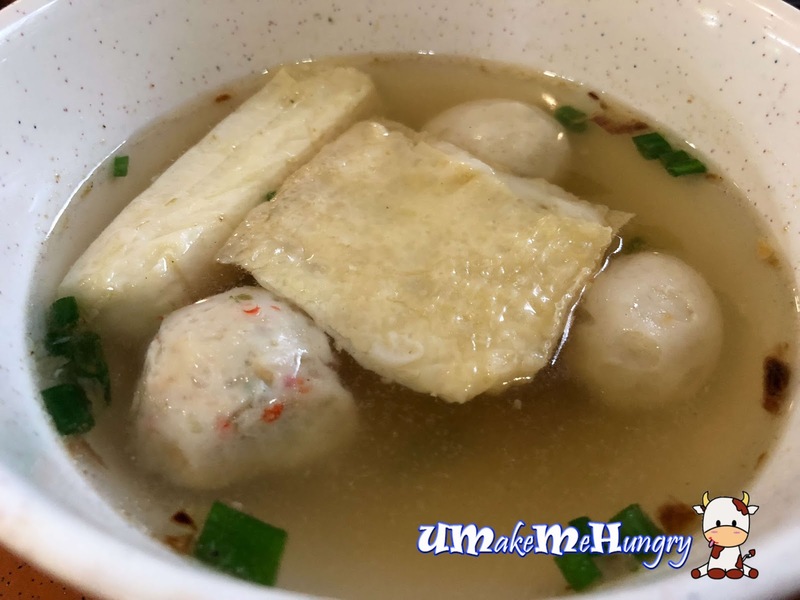 The dry version comes with a bowl of soup with Yong Tau Fu items. As we can see that items were random even though we have ordered similar portion. 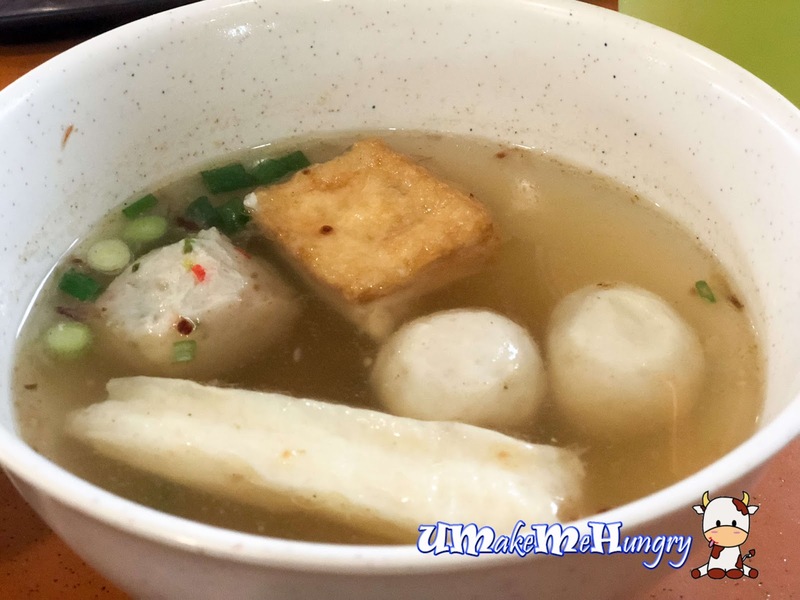 Nevertheless, each $3 portion order still comes with 2 fish balls and 1 meat ball. On the side note, these fleshy fish balls were fat and bouncy, totally irresistible.